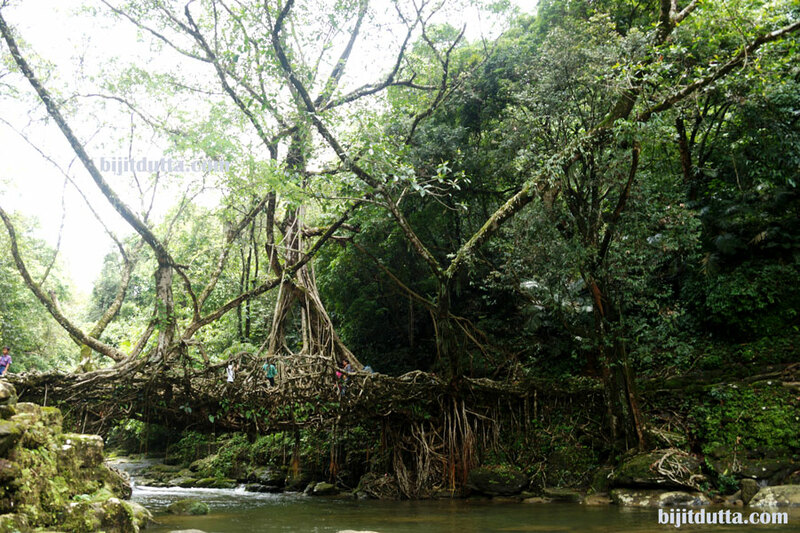 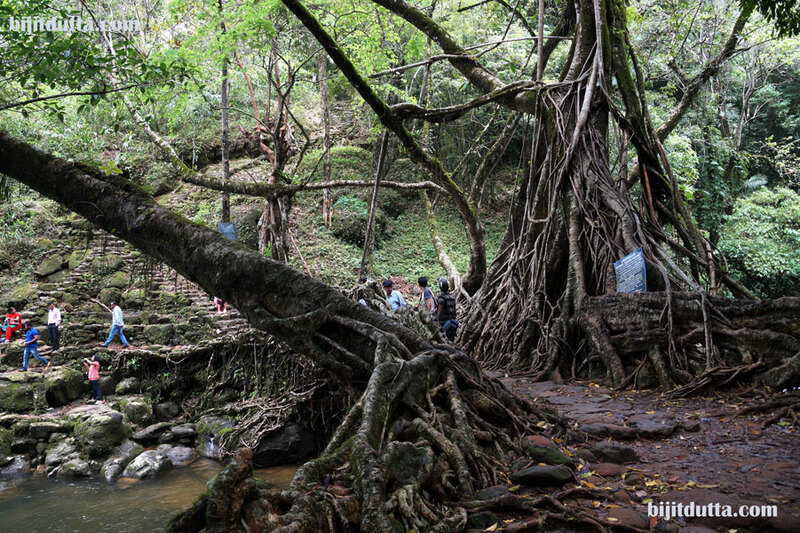 Near Mawlynnong in the Riwai Village is another gorgeous natural phenomenon, a living single decker root bridge. 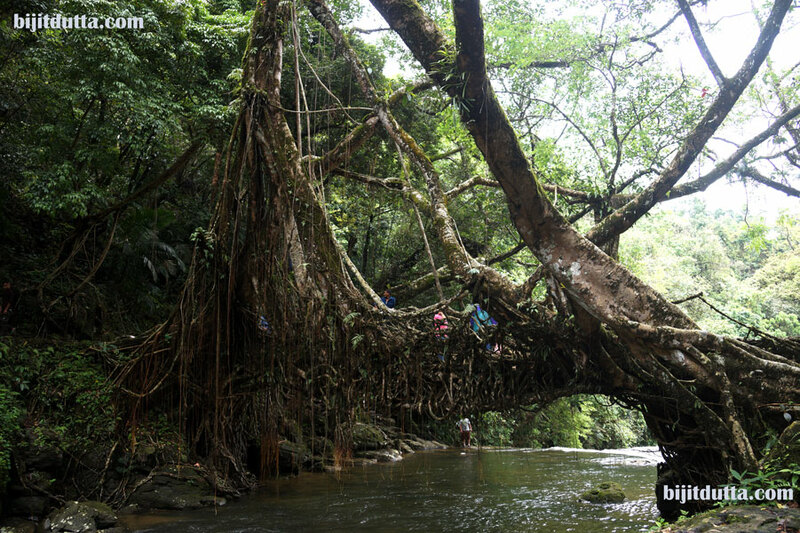 These bridges are made out of thick entangled roots growing out of Ficus Elastica tree. 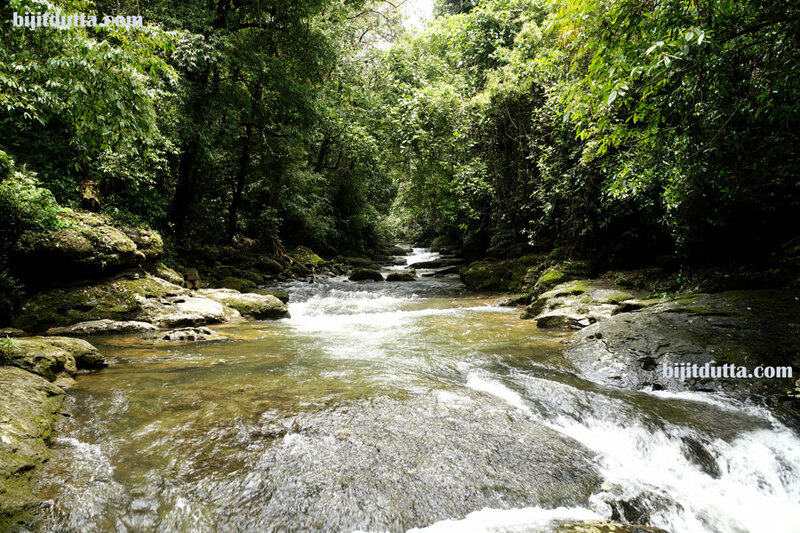 Mawlynnong and Cherrapunji are counted among world’s wettest places and hence the greenery, vegetation and forest cover is really dense. 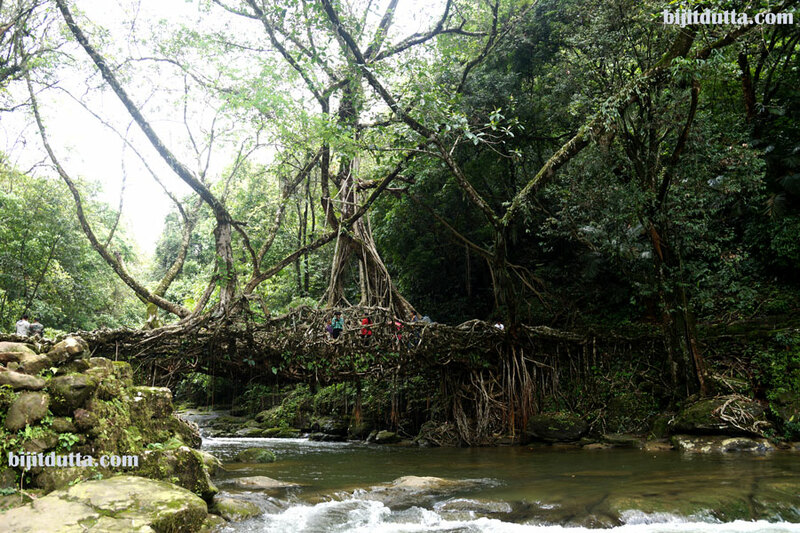 The Khasi people living in these forested areas over centuries discovered this tree which had several secondary roots growing out over ground level and they quickly turned it into a growing bridge, connecting two raised banks separated by one of the several streams within the area. 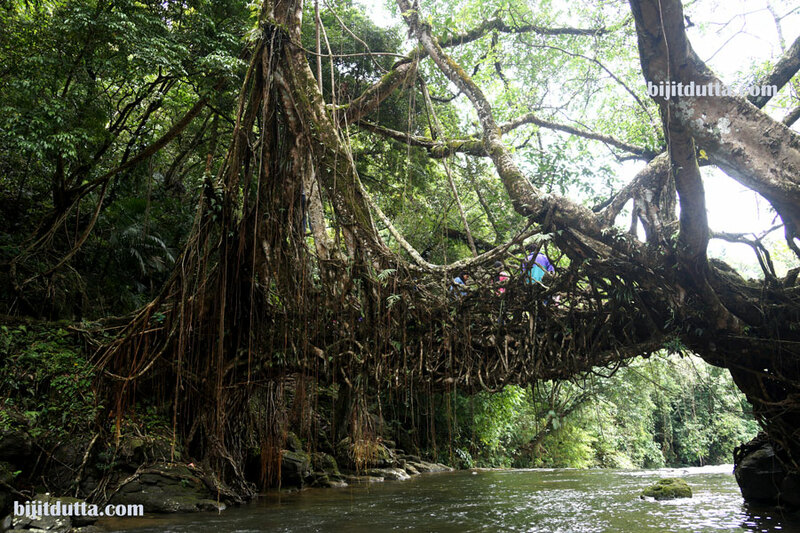 These bridges are extremely sturdy and are made walkable by fitting smooth rock boulders through it. 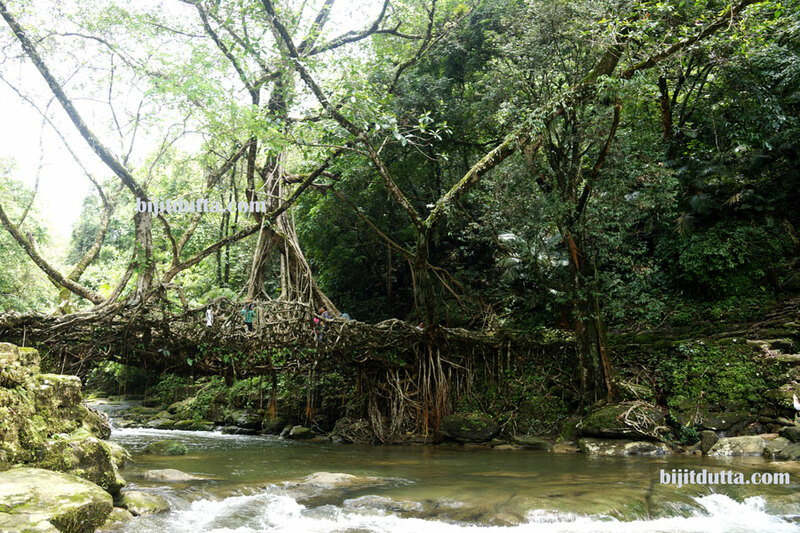 It can take up to 15 years for a bridge to become fully functional. 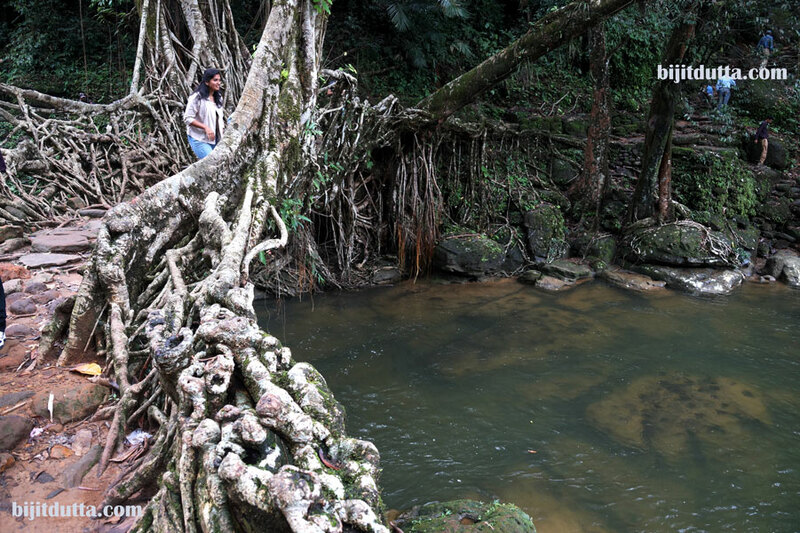 The bridge helps tribals cross the flowing stream all through the year without any hassles. 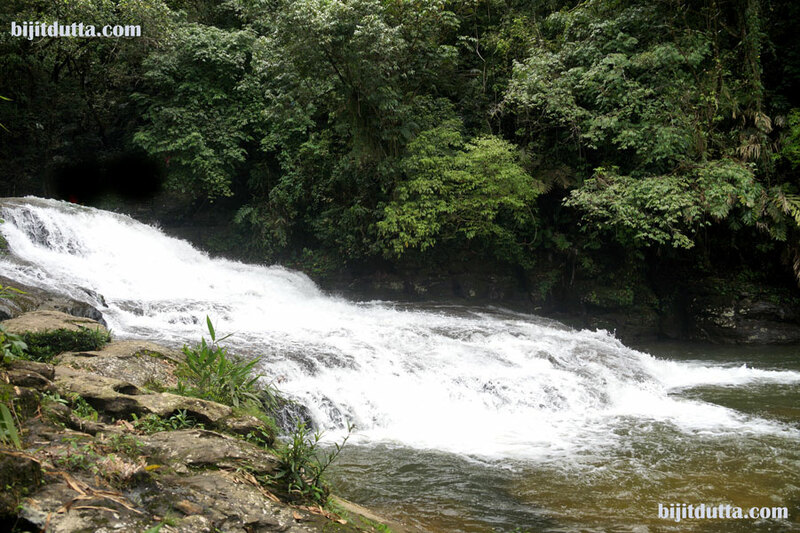 The pleasure of sitting on the bridges looking at the serene rivulet below is a very therapeutic experience. 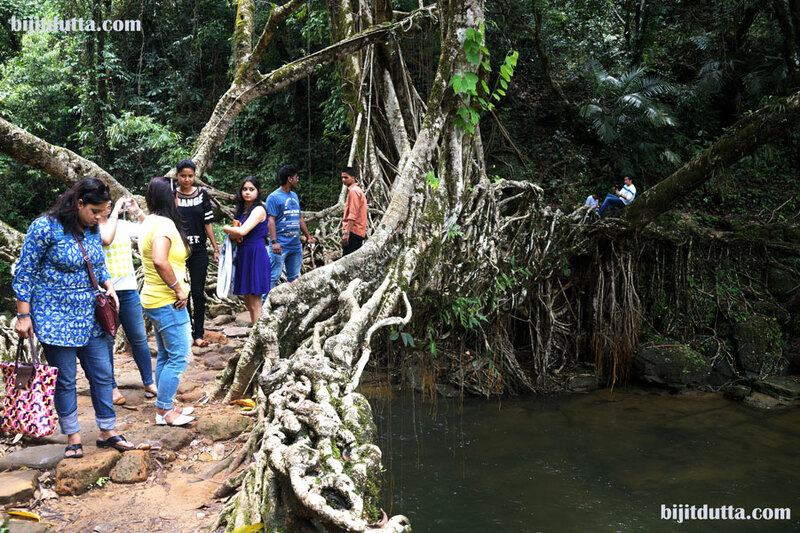 However, the tranquillity was soon broken by excitable tourists trying to outdo each other in reaching the bridge to take pictures.